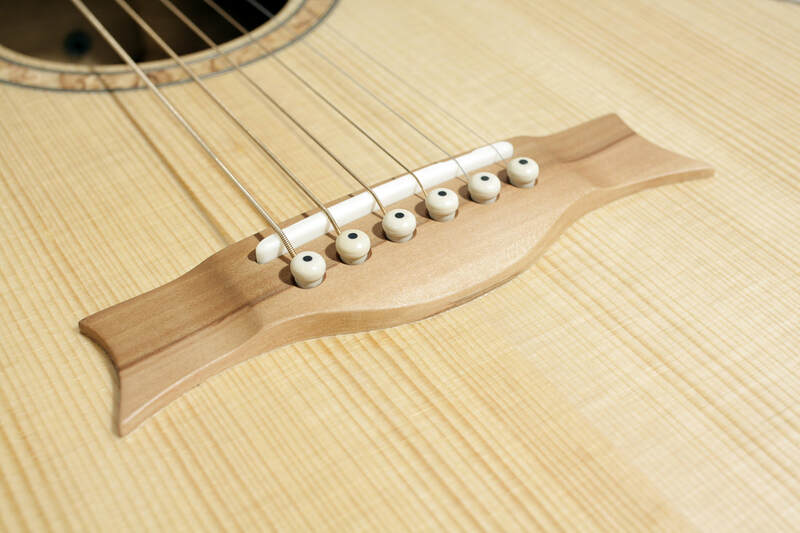 This 000/OM sized steel string guitar is made 100% of Finnish woods. 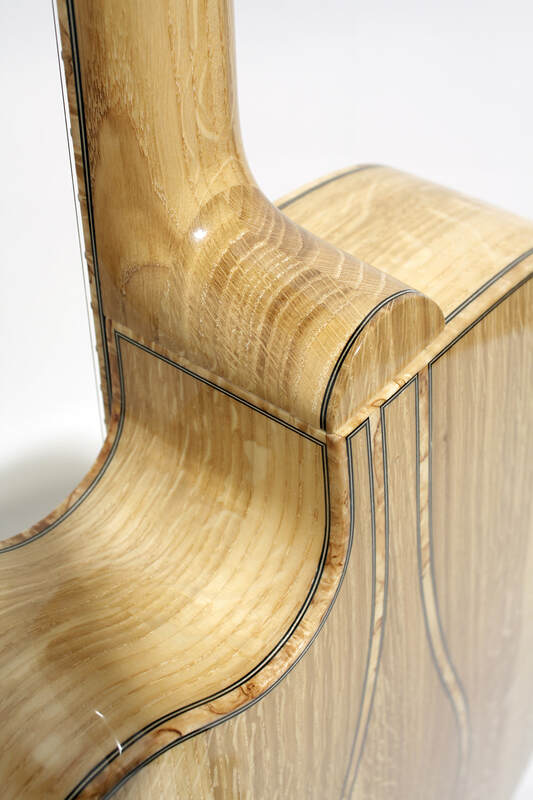 The three-piece back, sides and neck are made of highly figured oak and decorated with curly birch bindings and inlays. 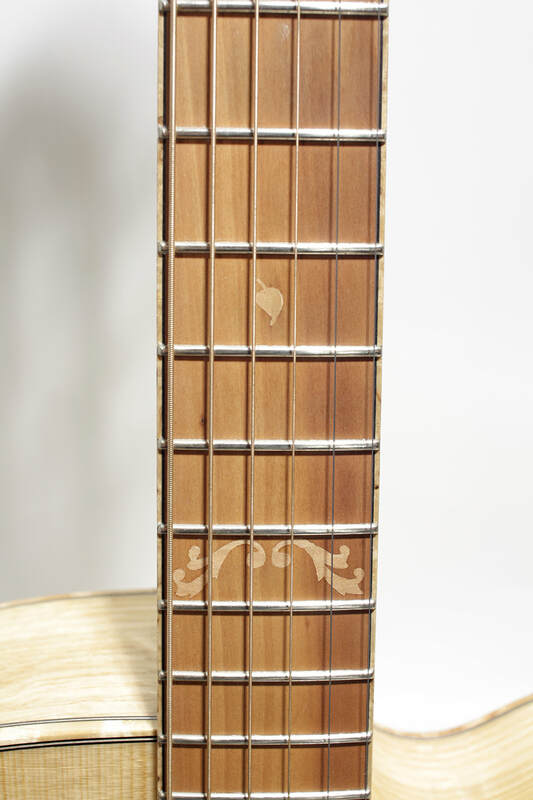 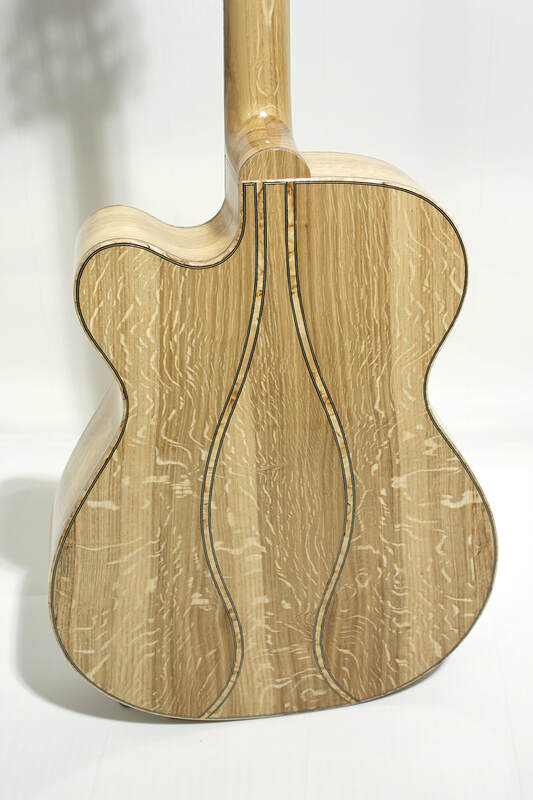 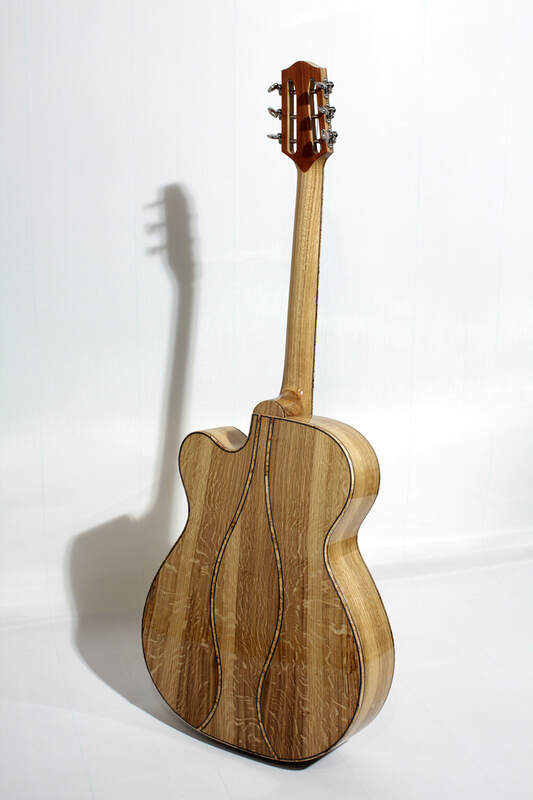 The fretboard, bridge and headstock veneers are apple tree and the top is spruce. 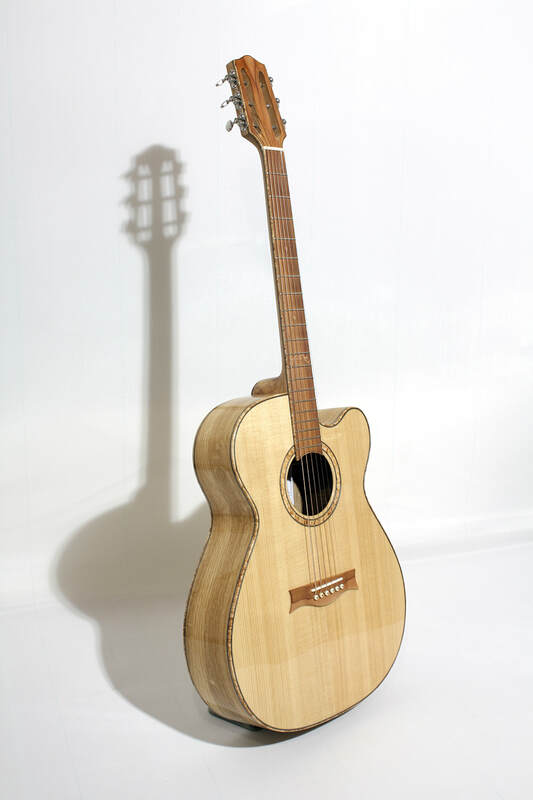 The guitar was part of the Leonardo Guitar Research Project in 2013-2014. 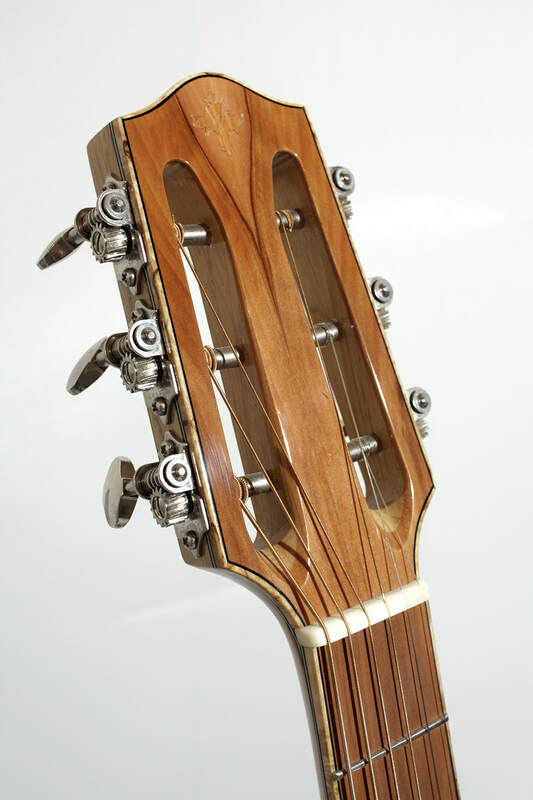 Together with its structurally identical rosewood brother they make a perfect pair for comparing how wood choices affect the tonal qualities of an instrument.